The Maruti Ciaz is easily the most spacious and one among the most comfortable cars in its segment. It’s even a bit longer than most of its rivals. Some Ciaz owners seem to have been really impressed with their rides. It looks like for them, the Ciaz is no less than a luxury car. Here are 5 such modified Maruti Ciaz sedans, which try really hard to mimic a German luxury sedan. Seen above is a Maruti Ciaz from Thailand that sports a custom-made body kit to pass off as an Audi. 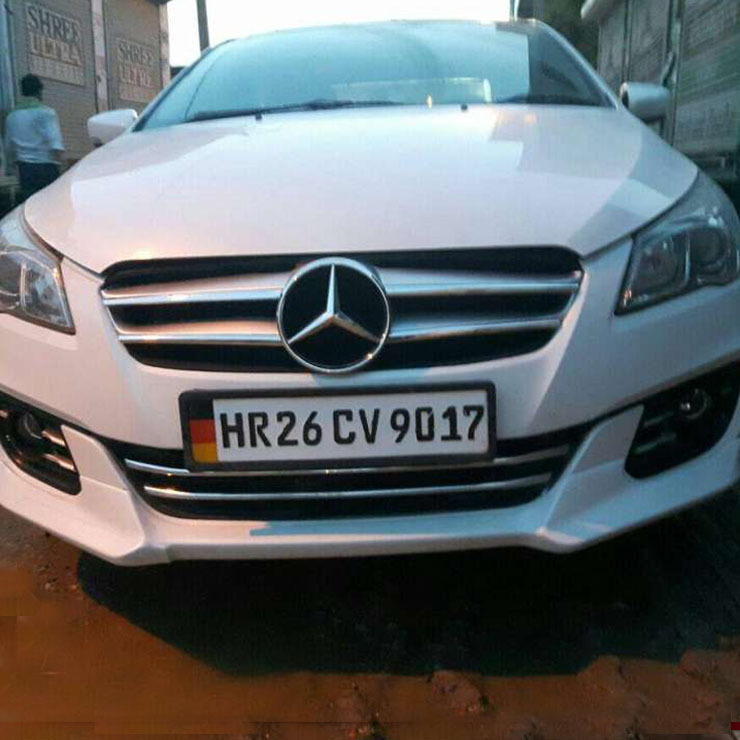 While the customiser hasn’t put on an Audi badge on this Ciaz, it’s clearly evident that he has tried to give this sedan an Audi-like appearance through a similar grille and bumper. This Ciaz even gets ‘quattro’ written on its grille, which is yet another way that tries to make this car look like an Audi. Other than the revised front-end the car sports window visors and a rear spoiler. 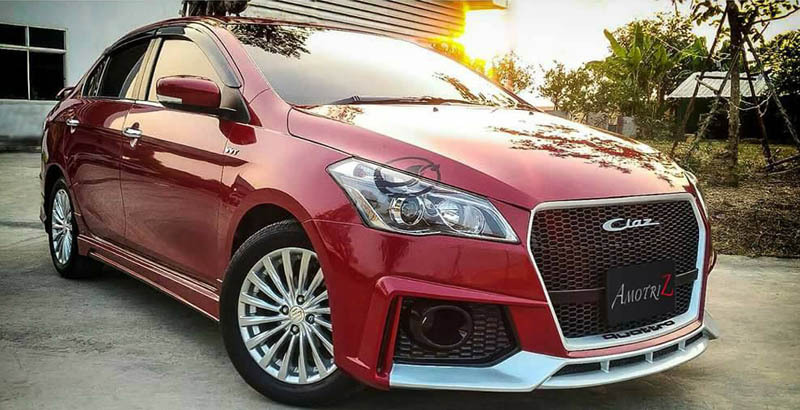 Here is another modified Maruti Ciaz from Thailand that wants to look like an upmarket German sedan. This Ciaz gets a black roof, larger alloy wheels, a custom bumper, and new bulbs for the headlamps. However, the pièce de résistance here is its kidney grille that seems to come from a last-gen BMW 5 series. Here, too, the customiser hasn’t used the badge of the car this Ciaz is trying to mimic, but the kidney grille, which is a signature BMW design element, is a dead giveaway. The execution is pretty good and at the first glance, an untrained eye might actually think this one’s a Bimmer. 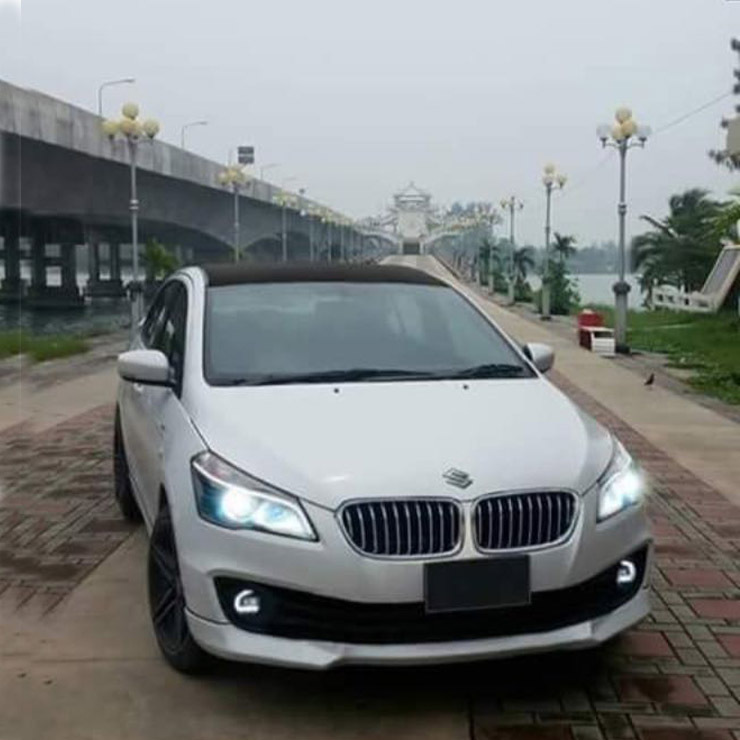 Here is another Ciaz that wants you to think it’s from BMW. Compared to the Ciaz-BMW mod we saw earlier, this one isn’t that well executed. 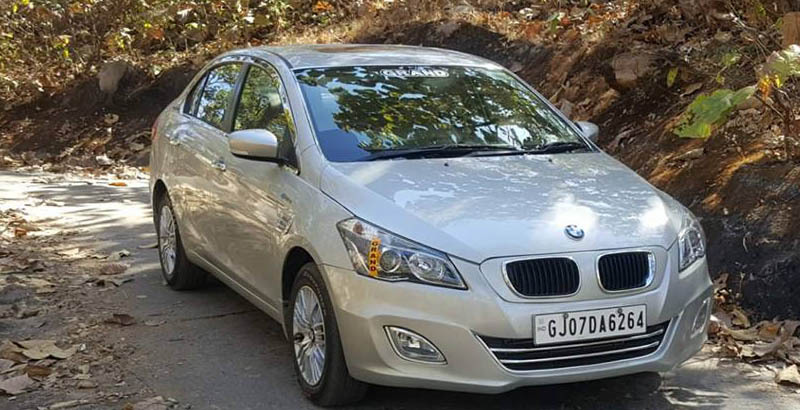 The original grille has been covered with a kidney grille and the bonnet sports a BMW badge. Other than this, the Ciaz has an updated bumper that carries new fog lamps. 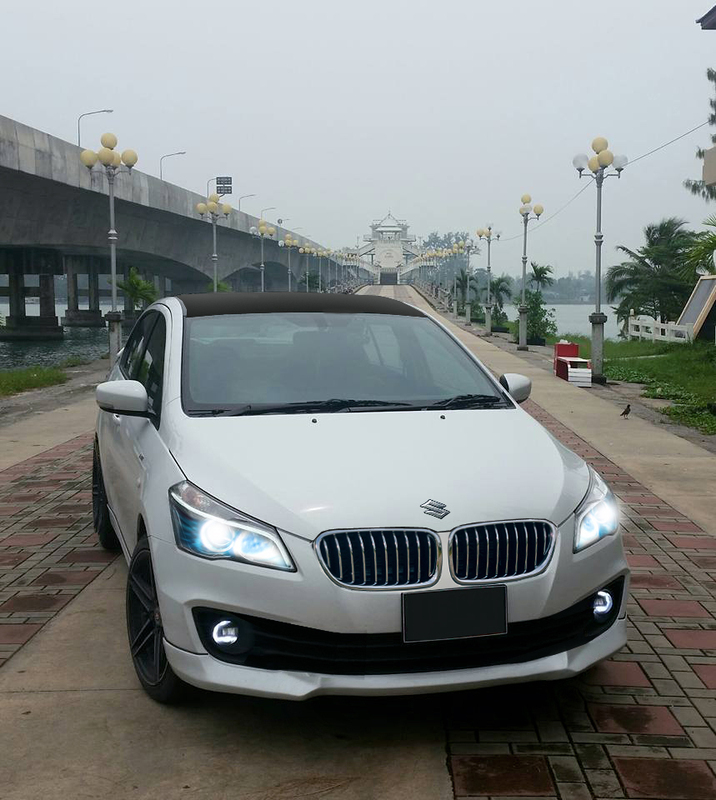 Well, this Ciaz isn’t really anywhere close to the BMW but the owner seems to love it. So, who are we to complain? Seen above is a brand-new Ciaz from Karnataka that carries a grille that seems to have been borrowed from a Mercedes! 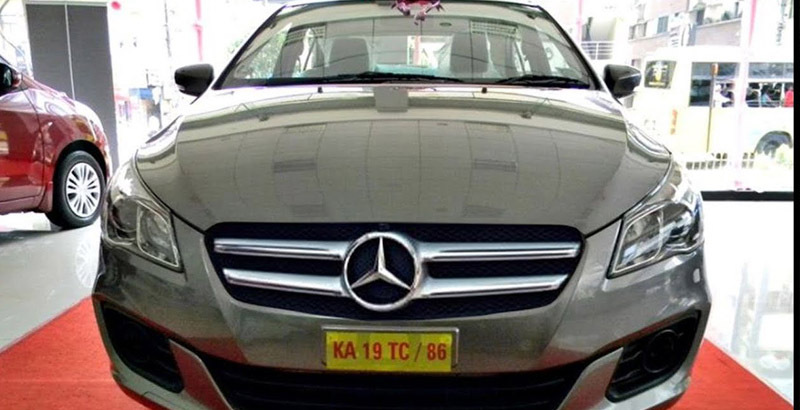 Hence, you get the same three-pointed star that you can find on a Merc. Other than the new grille, this Ciaz doesn’t carry any other modification. Also, only the most unclued would mistake this Ciaz for a Mercedes car. Here’s another Maruti Ciaz that gets a Mercedes-like grille. Here, again, the Ciaz gets a three-pointed star on a custom grill. Other than this, there’s also some chrome garnishing on the lower grille and around the foglamps. While all this makes the Ciaz look a bit different, it lacks the flair of a modern-day Mercedes. In our opinion, not even one of the above Maruti Ciaz sedans is anywhere close to the German sedans it’s trying so hard to mimic. While the first two cars in the list do come across as fairly neat mods, the remaining three are cheap aftermarket jobs with the only new bits being a new grille and badges. The Ciaz is a fairly handsome car in its stock form. Its crisp lines and clean surfaces give it some understated elegance. True, it won’t look special enough in the company of pricier cars from Mercedes, BMW, and Audi, but these cheap imposters go on to do nothing but ruin the original design.